We will strive to exceed your expectations for service and quality. Our office is dedicated to providing you with the most thorough eye care and highest quality products you will ever receive. Since 2002, we have been pleased to provide Oakville, Burlington, Mississauga and surrounding communities with the highest standard of eye care for the entire family. Our eye care center in Oakville provides a friendly, family oriented environment in order to serve the very young to the very old with comfortable surroundings and friendly staff. We strive to serve the needs of each and every one of our valued patients with the latest in optometric equipment and technology, education, quality products and exceptional customer service. Our goal is to remain at the forefront of eye care through continuing education in order to maintain the highest standard of care for you, your family and our community. We want to exceed your expectations for service and quality. We here at Eyecare in Oakpark have a true love for family eye care. We strive to not only provide you and your family with a great eye exam experience but to also focus our attention on maximizing both the quality of your vision and your long-term eye health. 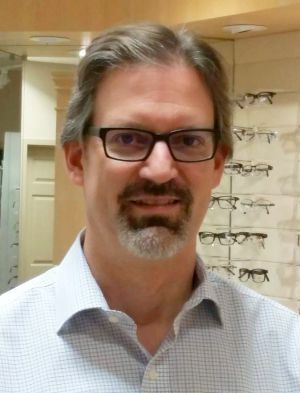 We want you to have a great eye care and eyewear experience. We offer a comprehensive eye exam for all ages. We specialize in Myopia control, focusing on preventing or slowing the progression of nearsightedness in children and teenagers through various techniques. We also specialize in orthokeratology, LASIK surgery consultations & referrals, digital eye strain, management of ocular disease, and dry eye. We are a proud Oakville Beaver Multi Year Winner for Readers Choice Award. If there were a 6 star I would give to him. Extremely professional and knowledgeable, taking time to explain, demonstrate and educate his patients. The best ever optometrist. Great service and thorough exams. Always a pleasure dealing with the staff. Dr. Pachler was extremely knowledgeable and genuinely cares for his patients. I received excellent service from him and his staff. I would highly recommend him. Excellent, caring professional Doctor... warm staff... our family wouldn't go anywhere else. Dr. Pachler and his team are awesome! Not only do they make you feel comfortable but they explain everything clearly. They carry the most up-to-date designer frames and also offer the most current lens structure. The best part is they are so good at picking out frames for you that fit your face and personality. I just bought two pairs from them and the funky Jimmy Choos have people stopping me on the street to tell me how cool they look. My family and I have been seeing Dr. Pachler and his team for years and will continue to do so. I would not hesitate to recommend his service to anyone. According to experts, 80% of learning is visual, which means that if your child is having difficulty seeing clearly, his or her learning can be affected. Its never to late to take care of your kids' eyes. Orthokeratology, commonly called ortho-k, is a method used to correct myopia (nearsightedness) by wearing rigid gas permeable contact lenses overnight. Please call our office Toll-Free at: 1-833-497-3542 for further instructions. Use your best judgment on urgency, if you feel your need to find the nearest emergency room. Check out our Emergency Eye Care page for more information.